Yale University Press, 9780300170573, 1024pp. 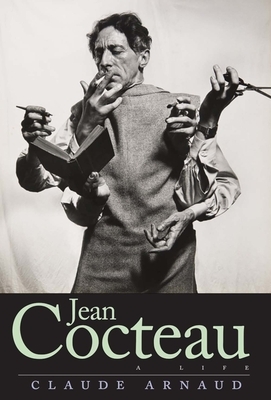 Unevenly respected, easily hated, almost always suspected of being inferior to his reputation, Jean Cocteau has often been thought of as a jack-of-all-trades, master of none. In this landmark biography, Claude Arnaud thoroughly contests this characterization, as he celebrates Cocteau’s “fragile genius—a combination almost unlivable in art” but in his case so fertile. Arnaud narrates the life of this legendary French novelist, poet, playwright, director, filmmaker, and designer who, as a young man, pretended to be a sort of a god, but who died as a humble and exhausted craftsman. His moving and compassionate account examines the nature of Cocteau’s chameleon-like genius, his romantic attachments, his controversial politics, and his intimate involvement with many of the century’s leading artistic lights, including Picasso, Proust, Hemingway, Stravinsky, and Tennessee Williams. Already published to great critical acclaim in France, Arnaud’s penetrating and deeply researched work reveals a uniquely gifted artist while offering a magnificent cultural history of the twentieth century. Claude Arnaud is a writer and recipient of the 2006 Prix Femina Essai. He lives in Paris, France. Lauren Elkin is a lecturer in English and comparative literature at the American University of Paris. Charlotte Mandell is an award-winning translator of more than thirty books.